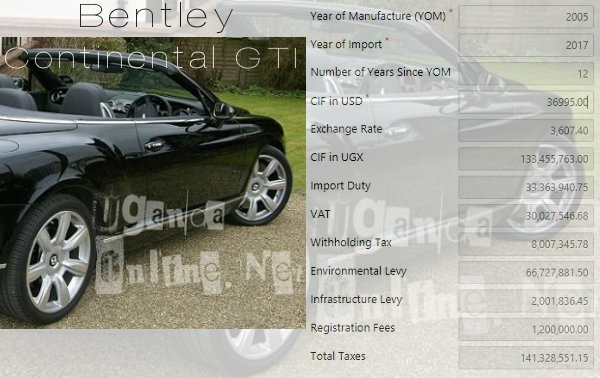 Rich Gang member Edward Kyeyune aka ED Cheune has added a Bentley Continental GTI model 2005 to his fleet. He already has a red AUDI A4 convertible, a black Chrysler and now another convertible, a blue Bentley. His claim to fame has always been posh rides. 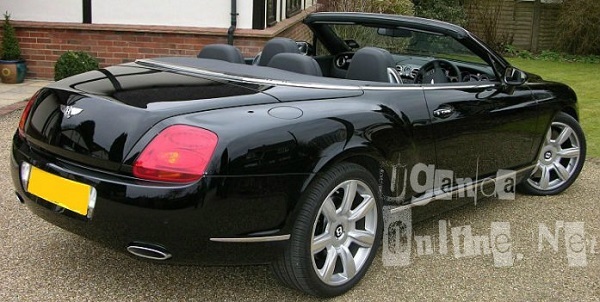 The Bentley would go for over Shs280M on road. Scroll down for the computation of taxes. 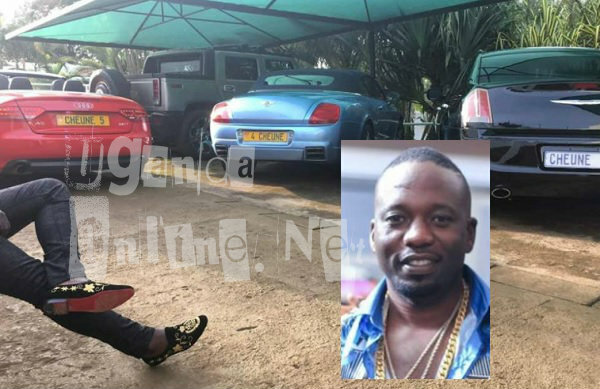 Cheune is one of the original members of the Rich Gang Crew that comprised of the late Ivan Semwanga, the #RG President and King Lawrence who is based in South Africa, but was able to come to Uganda for the burial of his half brother, Ivan. Cheune has been in Uganda for a while now, heis thinking of investing home like close buddy, SK Mbuga. This black Bentley Contiental GTI is a 2009 model.